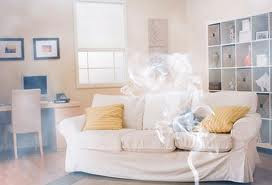 Mayberry's Home Service use of foggers are far superior to handheld aerosols for the kinds of odors that force themselves into cracks and crevices. Eliminates cigarette odors in cars and musty smells in closed rooms. Excellent for use in property management. Let us do the work for you. Mayberry's Home Service use of foggers are far superior to hand held aerosols for the kinds of odors that force themselves into cracks and crevices. Eliminates cigarette odors in cars and musty smells in closed rooms. Excellent for use in property management. Let us do the work for you. Mayberry's Maids is available to add scent to a home that has a very undesirable smell and general house cleaning or carpet cleaning will not get the job done. Most common is a home just purchased in Las Vegas or Henderson NV and the previous tenant was a smoker or had indoor cats. The smell can be unbearable and some may think it can not be removed with out changing the carpets, Cleaning the carpets, Painting and more but that is not true. We can attempt to remove the smell or add a new one with Oder foggers and cleaning the Air ducts and adding scent to the ducts as well. For severe odors that cannot be reached by traditional cleaning methods, this total release fogger is the product of choice. One 5-ounce can will destroy odors in any small room (up to 6,000 cubic feet)! Mayberry's Home Service use of foggers are far superior to hand held aerosols for the kinds of odors that force themselves into cracks and crevices. Eliminates cigarette odors in cars and musty smells in closed rooms. Excellent for use in property management. Or Anywhere that has that mold smell and mold funk. Cigarette and pet odors are some of the most difficult to get rid of. Over time, the smell sinks in to upholstery, curtains, walls, and carpet so that simple cleaning just won’t get rid of it. This is a huge problem if you are trying to sell your home. Bad odor is often the #1 reason a home won’t sell. Knowing how to remove cigarette and pet odors from your home is important.